When cichlids are classified as rare it’s usually for these top three reasons. The first reason has to do with availability of rare cichlids. There are so many cichlids available today than in the past two decades but there will always be those super hard to find cichlids that elude us. 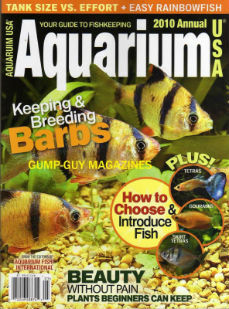 Limited or no availability from importers can be due to the difficulty in catching certain cichlids. Sometimes it can be quiet challenging and may offer thin margins or the amount caught in the wild is limited. Take for example a rare pike cichlid known as Crenicichla celidochilus. These pikes are native to Uruguay and are caught by line and hook, not nets. This accounts for the limited numbers of their availability. The second reason why there are rare cichlids in the hobby has to do with threats to their natural surroundings. There are two fantastic organizations which support this cause and they are the IUCN or the IUCN Red List of Threatened Species and Cares - C.A.R.E.S Preservation Program. The third reason for cichlid rarity has to do with being able to breed them and get them circulated into the hobby. Some cichlids can be very large requiring large aquariums and may require years to mature. Also there is an element of experience required to on the part of the hobbyist to create the correct environment to even induce spawning. That for example the psitticum cichlid and Uaru cichlids. Both are large but very different but what they have in common is a set of water parameters which is challenging to maintain and a propensity for HITH or hole in the head disease. Not to mention a large aquarium. 6+ Kyoga Flameback juveniles! CARES! Rare! Victorian Cichlids! Nice! 6 RARE INCA STONE CICHLIDS - (Tahuantinsuyoa macantzatza) - VERY BEAUTIFUL FISH! 6 SUPER RARE GYMNOGEOPHAGUS TEMPURPURA CICHLIDS!!! CAPTIVE BORN LITTLE GUYS! 5x licorice gouramis, parosphromenus linkei wild caught super rare! !